t’s August and Fall is fast approaching. Parents are preparing for children to go back to school. Children are excited about seeing all their friends each day. 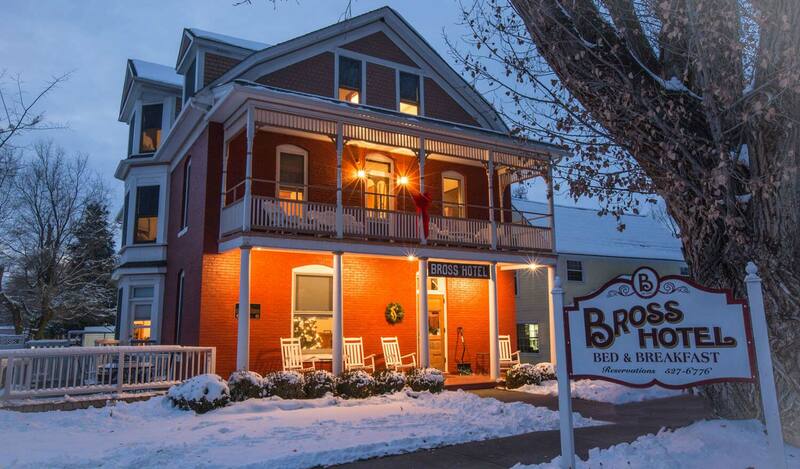 And, I am eager to greet you as you check into the Bross Hotel for an autum getaway. The Western Slope is the really pretty part of the state. That is especially true in the Fall when the golden aspens blanketing the hillsides are interspersed with dark green pine trees. You’ll find the scenic byways are magnificent this time of year, The Grand Mesa Byway celebrates Color Sunday/Week the last weekend of September. The West Elk Scenic Loop is home to the largest aspen groves in the world (one grove is one tree since new trees come up from the spreading roots of the mother tree). It’s magnificent. So, if you haven’t ever driven over Kebler Pass between Paonia and Crested Butte, late September or early October is the time to do it. And, the drive over McClure Pass is always fantastic. Since we all look forward to seeing Colorado’s golden aspens each fall and there’s no better place to view them than on the Western Slope, the Bross Hotel has a deal for you. During September and October, the Hotel is offering a 15% discount off two consecutive nights lodging, Sunday through Thursday. So decide on your travel dates and call me for reservations. You are always welcome on the western side of the continental divide. This entry was posted in Uncategorized and tagged getaway by admin. Bookmark the permalink.